The article explores central aspects of the relationship between the Buddhist monastic order and the various imperial states that ruled China during the medieval period (roughly between the third and the tenth centuries CE). It focuses especially on the points of tension created by the monastic order’s efforts to establish a sense of autonomy and receive special economic, political, or social exemptions on one hand, and the royal imperium’s assertion of absolute authority over all subjects on the other hand. While the monastic order’s efforts to safeguard its independence and ward off the encroachment of a totalitarian state was largely a losing proposition, in a protracted process that involved complex socio-political negotiations and shifting religious realignments, the Buddhist clergy was able to secure important exemptions from the Chinese rulers’ demands. 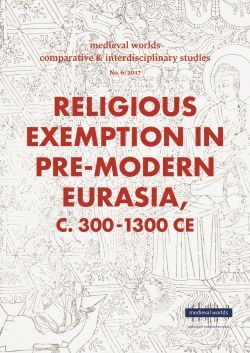 Most notably, these included exemptions from certain forms of taxation, military conscription, and forced labour, which helped secure the economic foundations of monastic life and enhance the prominent place of Buddhism in Chinese society. To illustrate these issues, the article explores some of the key debates that pitted prominent Buddhist monastics such as Huiyuan (334-416) against key segments of the Chinese socio-political elites, many of whom were influenced by a Confucian ideology that was often inimical to monastic institutions.